20th of June is declared as Refugee Day by the United Nations. 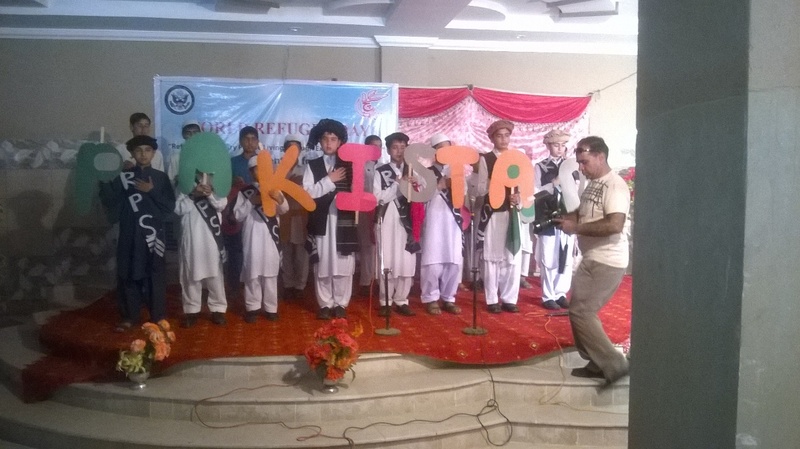 In this connection SACH-Struggle for Change in collaboration with the Bureau of Population, Refugee & Migration has celebrated "World Refugee Day". 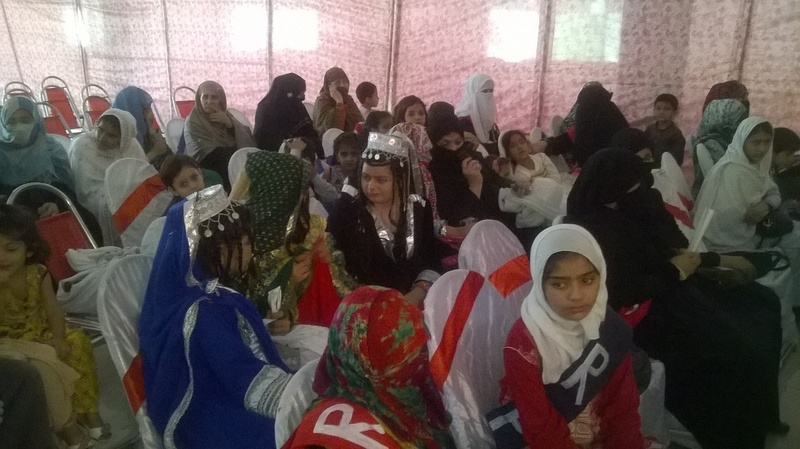 The event was held at Community Hall Khalabat Township Haripur where Afghan refugees, Schools, Local Community, officials including representatives of NADRA and CAR have participated. 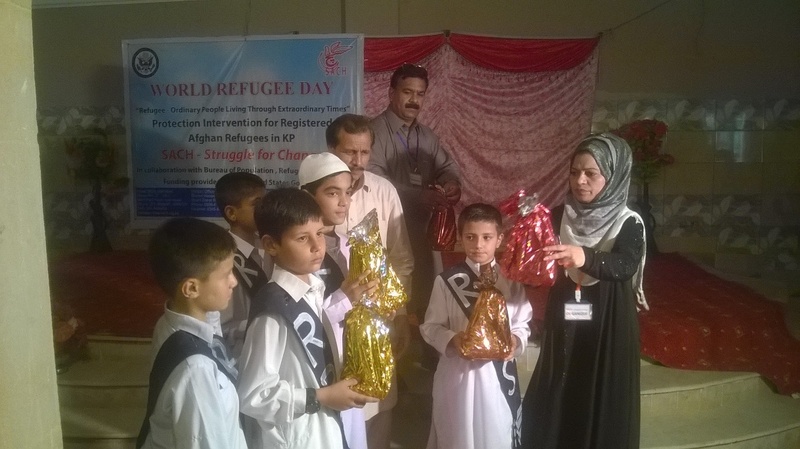 Mr. Ahmed Nawaz Khan, Administrator refugee Camp (In Charge Security Police District Haripur & Mansehra)was the chief guest at the occasion. 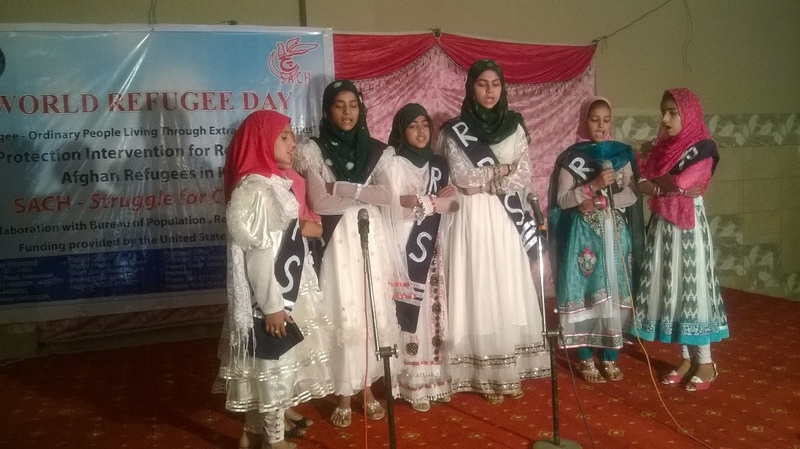 Representative from SACH welcomed all the participants of the event and highlighted the importance of the day.Students of Rehman Public School and Aba Ayub Ansar Higher Secondary School performed different role plays on the 2015 theme of World Refugee Day i.e. Refugees being ordinary people living through extraordinary times. Both the schools had actively participated in the event to make it success. 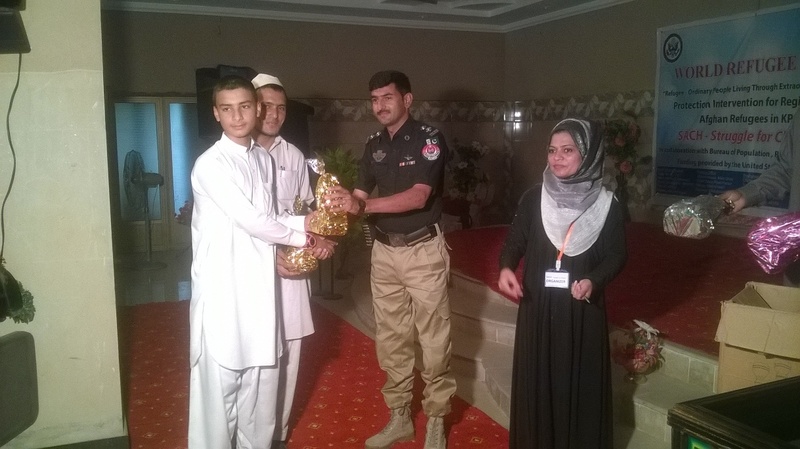 The chief Guest had distributed prizes to the performers. Different NGOs and government officials were also invited as guests at the event. According to SACH "World Refugee Day" was an effort to rejuvenate the strong ethnic and religious ties between Afghan Refugees and local community. At the end of the event, the students were conferred with prizes and appreciation certificates for their involvement and inputs for the event.